Ayurveda is a science, which describes the beneficial (hita) and the non-beneficial (ahita) aspects of life, the happiness and pain in life, their quality and quantity"
Ayurveda -an oldest system of medicine originated in India represents “Science of life” and longevity. Ayurveda a traditional holistic health care system is being practiced for more than 5,000 years in India and now in the world as alternative and complementary system of medicine; providing natural health and well being. These three doshas are present in every humans but generally 1or 2 are dominant in an individual. These three doshas work harmoniously and maintains the energy balance and functions of the body. Various external or internal factors such as stress, unhealthy diet, weather or emotional trauma can disturb the balance and harmony resulting in to disease state. The ayurvedic treatment is aimed to bring back the doshas into balance and enhance body’s own healing system to restore back the health and wellness. On the base of medical history and physical examination the ayurvedic practitioner will recommend the various treatments including changes in lifestyle, diet, yoga, meditation, massage with healing oils and use of herbs etc. The acute conditions are benefited immediately, however the chronic disease may take certain time to show the beneficiary results. 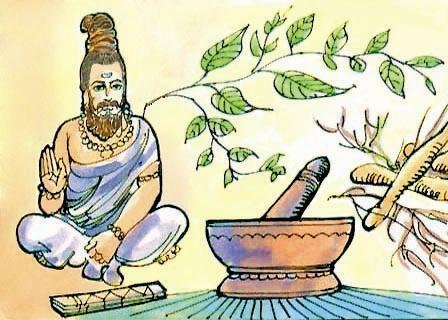 The risk of harmful side effects of ayurvedic treatment is less as only natural herbs and therapies are practiced. Ayurveda is ancient, highly efficient system of medicine that had evolved with time and proved beneficial to restore and maintain overall health and wellness. It is safe, natural, inexpensive way of preventing various disease conditions.